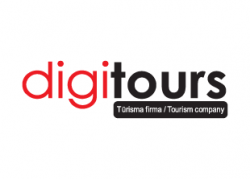 Our tourism company „Digitours LTD” was founded in 2003 when started our mission to provide outbound tourism services and fulfill our Customers dreams. We are proud to be member of professional association of tourism in Latvia ALTA and Latvian Chamber of Commerce. This year we are celebrating our 15th anniversary! Our company offers wide range of outbound travel packages and services to places all over the world – Europe, Africa, Central Asia and further. Also we started to work with inbound tourism in Latvia offering to our foreign guests hotel reservations, transportation and tickets to local festivals and concerts. We can offer air travel, land and sea transport tickets, hotels, apartaments, tickets to many cultural events and insurance policies for your business or leisure trip. Generally - everything you dream about..
Mostly we work with each client individualy. Creating specific travel packages we always listen to our clients' wishes and ideas, because they are the ones who inspire us of what we are doing. We like to accept the challanges and discover new routes and places. Allways looking for the new cooperation partners all around the world. The key to success of our company is the determined employees with creative thinking and extensive experience in tourism business. We will be glad to organize your trips and provide an excelent service to you and your family or friends.